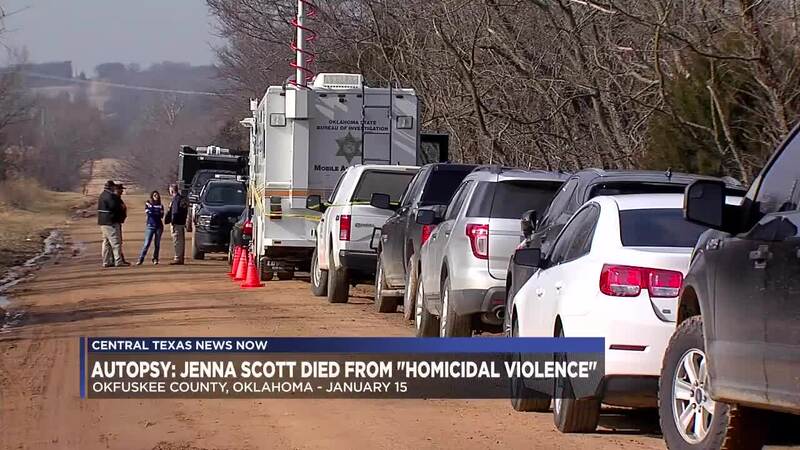 OKLAHOMA CITY (AP) - The Oklahoma Medical Examiner's Office says a Texas woman died of "homicidal violence" before being buried in Oklahoma. A summary of the autopsy on 28-year-old Jenna Scott of Temple was released Wednesday and refers to injuries in a full report. The summary says that report isn't available and a spokeswoman didn't immediately respond to a request for comment. Scott and 32-year-old Michael Swearingen of Temple were found dead in a shallow grave in Clearview, about 80 miles (129 kilometers) east of Oklahoma City. A previous autopsy says Swearingen was strangled. Scott's ex-boyfriend, 44-year-old MMA fighter Cedric Marks, is being held on murder charges in the deaths, which he has denied. Marks prompted a manhunt Feb. 3 when he escaped from a private prison van. He was recaptured nine hours later.